how that can be real, but here we are. It's now time to hear what I was loving in the month of March. It's a short list, but I hope you enjoy. Too Faced: Semi Sweet Chocolate Bar Palette I did a full review on this here. But to sum it up; I love it! I used this nearly every day since I got it. Frankly it took me by surprise and I'm so glad I got it. It is literally all you really need for great summer looks! Tarte: Cheek Stain in True Love I spoke about these recently in my Blushing for Spring post and honestly there was a good amount of this month that I didn't where foundation and just popped this on my cheeks to give me a healthy flush. 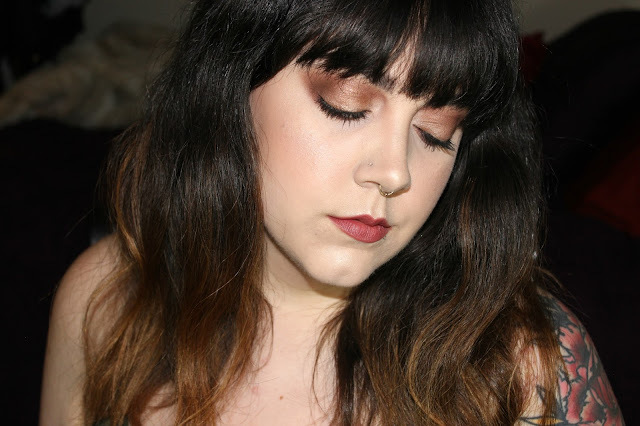 Tarte: Timeless Smoothing Primer I am officially obsessed with this primer. I feel like it has out done every primer I have used. It makes my foundation last significantly longer and feels great on the skin. Full review here. Tarte: Amazonian Clay 12 Hour Full Coverage Foundation in Light Neutral (I don't think the name is long enough, do you?) I love this foundation for Spring/Summer because it looks super natural while giving great coverage and also feeling breathable. Ideal for summers in Southern Nevada! Here's my review on it that I did a while ago. Milani: Baked Blush in Luminoso is just the best blush for every look. It just works with everything. When in doubt: Luminoso. It's so affordable and gorgeous. MAC: Cinderella Fluidline in Macroviolet Now, this is a favorite for the formula, not just the shade though. I had, surprisingly, never tried fluidline from MAC and I am now hooked! It's so smooth. I have been using this (alongside my next favorite) and its amazing. Sigma: E65 This! This is the sharpest, finest, angled brush I have ever used. It is amazing for creating tight-to-the-lash lines and realistic hairs for eyebrows. I feel like I need at least 5 more. If the is one brush to get for liner, it's this one. Nars: Radiant Creamy Concealer in Chantilly This concealer is too light for me to hide blemishes or even to just conceal under eye circles, but it's great for highlighting. I use a few dots on my cheeks bones and down my nose and chin. It really brightens up the skin and blends out really nicely.